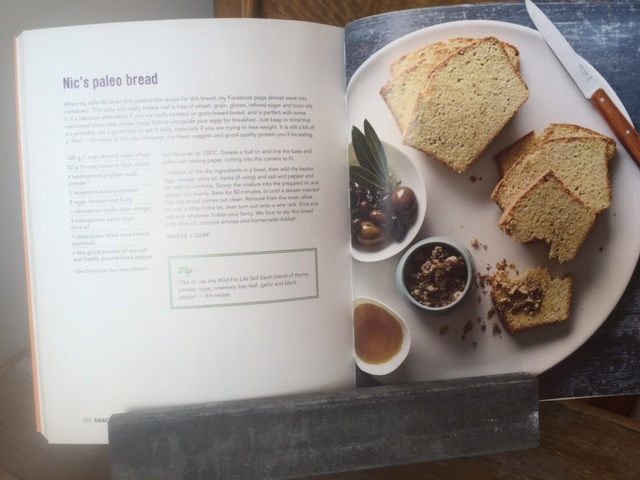 I recently enjoyed a lovely post from Liz at Spades, Spatulas & Spoons who talked about her ‘bursting at the seams’ cookbook collection. Although I share Liz’s passion for cookbooks I’m consciously trying to keep some breathing space on my bookcase. So, after a recent overdue purge (and with fewer long neglected books to distract me) I’ve found myself going back to recipes from my favourite books time and time again. Here, taking inspiration from Liz, I wanted to share the cookbooks I’ve turned to most during the last year or so and why. 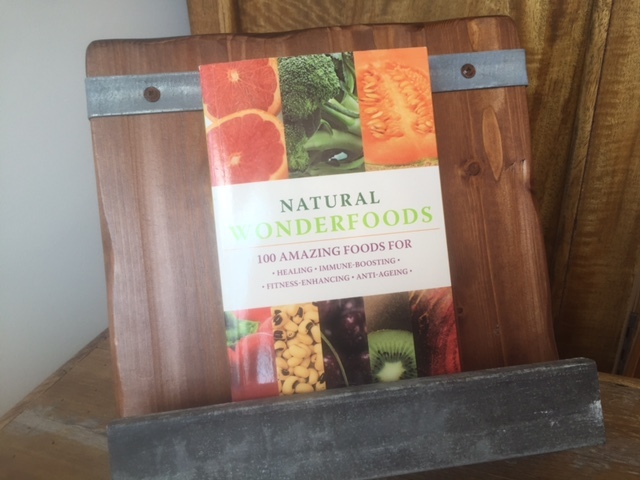 I’m displaying the books on my new rustic reclaimed wood stand. It was made by hand by Stacy Borocz and her team who repurpose unloved materials such as old timber from abandoned buildings and other items into beautiful homewares. I was kindly sent it by Uncommon Goods, a company who I was happy to share with my readers for reasons I’ll go onto later. In the meantime you can see more of their products here. Why these 5? Not only do they all align to my Feast Wisely philosophy, but I’m also confident they’ll make it safely through cookbook purges for years to come. Firstly the fellow Brit who has long been my biggest source of cooking inspiration. Jamie Oliver. I have a whole stash of Jamie’s cookbooks. Of course I’ve failed miserably many times to prepare many of his 15 minute meals in anything less than 30 minutes. But I still love Jamie’s approach to food. Jamie’s Comfort food is a celebration of 100 recipes spanning cuisines across the globe. 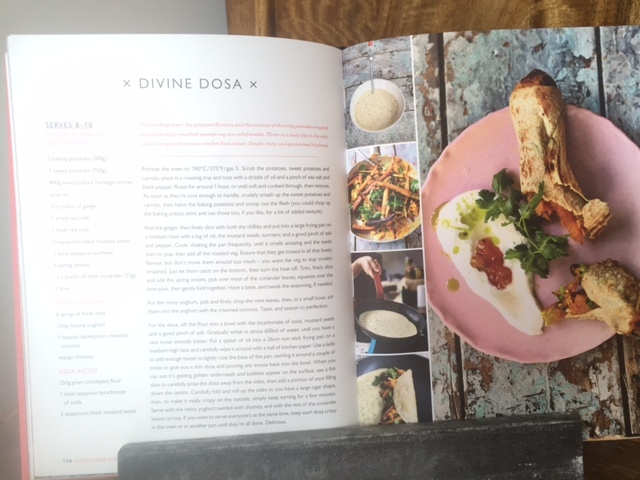 In Jamie’s words the book showcases ‘good mood food that will put a smile on your face’. I agree with him. I’ve lost track of the times I’ve prepared his Big British Meatballs, Ossobuco Alla Milanese and Winter Nights Chilli. Next on my comfort food radar? ‘Divine Dosas’. If you love hearty food and Jamie’s down to earth lingo (genius, scrumptious, epic) then check out this keeper. OzHarvest is Australia’s first and largest food rescue operation. I’ve talked about OzHarvest before after attending a cooking class with them and then making my own version of their carrot cake. Every day across the country teams of volunteers board OzHarvest vans and collect food that would otherwise be wasted. This food is quickly redistributed to the homeless and others that could go hungry. Their first cookbook was published back in 2012 and features food rescue recipes from 44 top chefs. Each recipe shows how you can turn simple and often recycled ingredients into delicious meals. Every $1 made from the sale of the book funds two meals for those in need. Of course it makes my top 5. Cookbooks are my husband’s go-to choice when choosing presents for me. Last year’s birthday gift? Rick Stein’s India. I’ve mentioned this gorgeous book before in recipes like Dhokla with curry leaves & mustard seeds and homemade Garam Masala spice blend. It has quickly become my Indian recipe bible. Rick Stein spent weeks travelling across India to unlock recipe secrets from chefs, home cooks and street vendors. It’s those recipes (and the associated stories) that you’ll find in this book. I’ve had a few Indian cookbooks in the past and none of them compare to this – every recipe is totally authentic and there are tons of vegetarian dishes that showcase why eating meat isn’t a dietary staple in India. Although I’m far from strictly paleo I do feel there’s a lot to learn from the paleo way. Like eating a largely plant-based diet. Cutting out refined sugar and grains. Experimenting with less common cuts of meat (like offal). And liberally eating the good fats found in nuts, coconut and extra virgin oils and avocados. So for me this book is a handy ongoing source of paleo inspiration. 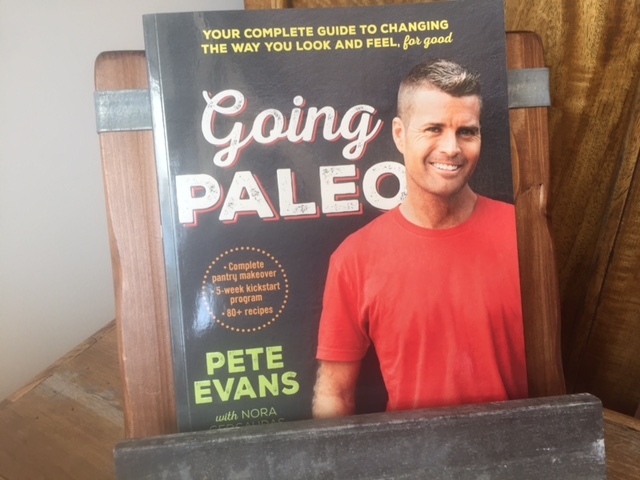 In this book Pete Evans puts a Paleo twist on common recipes. Here at Feast Wisely I’ve showcased how easy it is to make gluten free paleo bread and, like him, I’m a big fan of whipping up regular batches of bone broth. We’re starting to hear more about choosing foods ‘your Grandmother would recognise’. With this book it’s easy to take that a step further – to prepare meals using ingredients that our ancestors would have recognised. The last book on my list isn’t a cookbook as such but rather a handy nutritional profile of ‘100 amazing foods for healing, immune-boosting, fitness-enhancing and anti-aging’. I recall it was another gift from my husband. 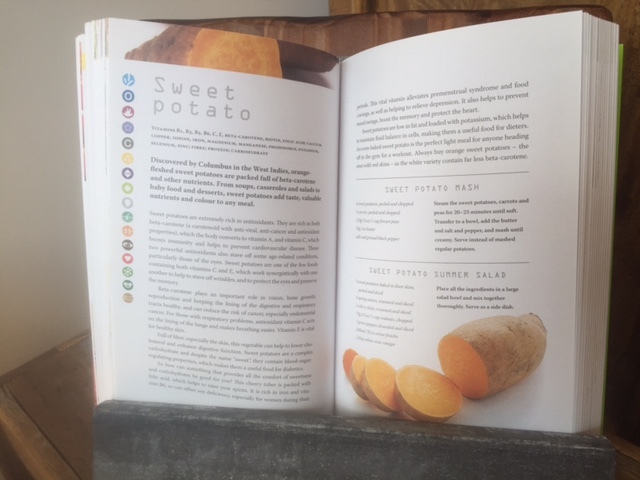 We all know that fruits and vegetables are good for us but this book provides a concise profile of the health benefits of 100 foods, with handy visual symbols that make the content easy to digest. I’m featuring the book here because every profile includes at least one recipe that heroes the said ingredient. It’s not a glossy coffee table cookbook but instead a useful tool for anyone passionate about eating well. I was drawn to Uncommon Goods after reading about how they’re doing things differently in the world of homewares. A large amount of what they sell is handmade and features recycled and/or upcycled materials. They’re all about creativity and through their vastly stocked website they provide a platform for artists and designers to showcase (and sell) their creations. It feels to me like a business with a strong mission and clear ethics, for example even their lowest paid seasonal workers receive 50% more than the minimum wage. A big thanks to them for sending me the lovely book stand you see here. Tags: cookbooks, recipes. Bookmark the permalink. Thanks Hungry Mum – yes I thought my shelves were looking unstable at one point! I’m trying hard to buy no more for the rest of 2016! So good to hear Lis – and I haven’t seen his TV show but will be tracking it down as the recipes are so good – I know your shelves are full but his book is a worthy investment! Wonderful post, I’m happy to be your inspiration. Jamie Oliver’s Comfort Food, it’s a winner. 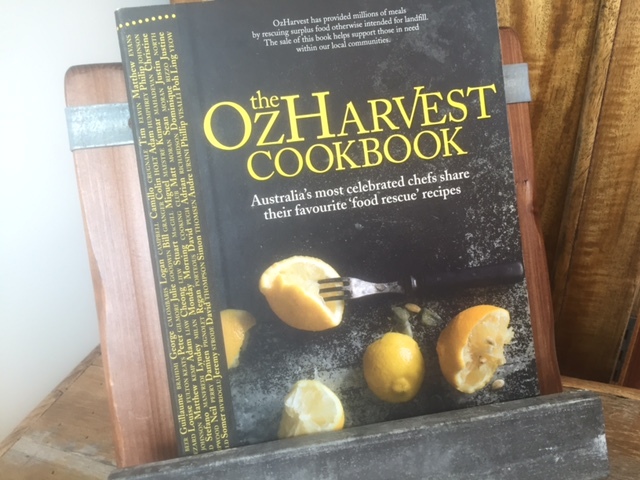 I am not familiar with the Oz Harvest book and will look it up. And I am a total failure when it comes to Indian Food. I usually get stuck on an ingredient that is almost impossible to find, like curry leaves. Lastly, I share your belief in a mostly paleo, plant based organic diet. Thank you. Thanks Liz! Glad you are also a fan of Jamie’s Comfort Food – what’s your top recipe in that book? I’ve tried to make a pact with myself not to buy any more cookbooks!! I need to offload some really…! Do it Elaine – be brutal with ones that haven’t been used in ages…. A good collection there Laura, it has got me thinking what my top 5 would be – so hard! Good for you having a purge, I am not sure I could. 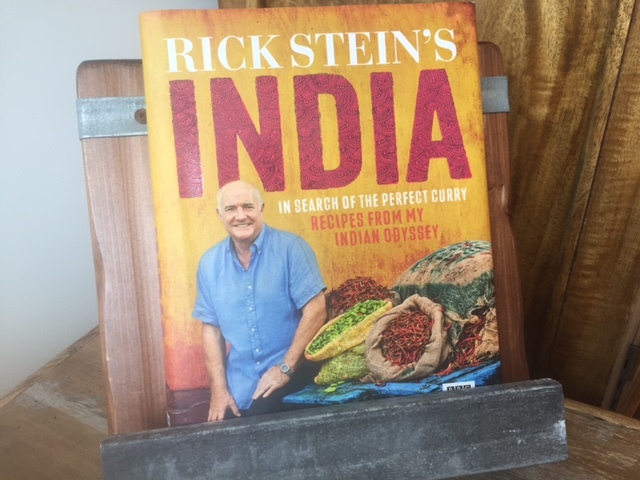 I love Rick Stein’s India book, I think I may have bought it for every member of my family (and I was bought it twice). The ‘Natural Wonderfoods’ book looks interesting, I have one called ‘Healing Foods’ from Neal’s Yard which I am always looking at so will have to check this one out. 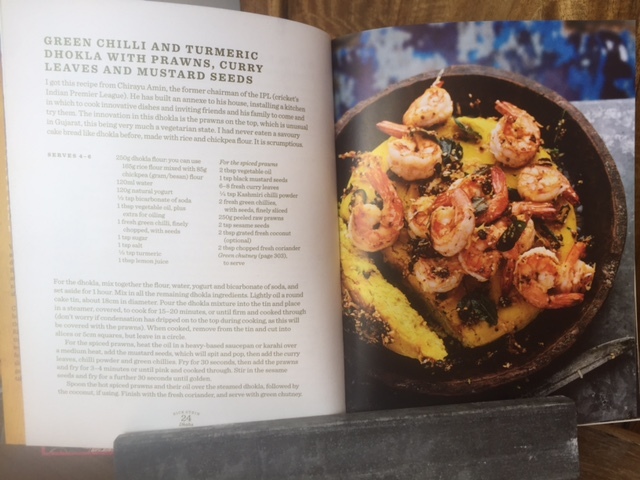 Thanks so much – glad you share my love of Rick Stein’s India book – which recipe have you made the most? Probably Rocky’s chicken korma but I recently tried the black dal recipe which is delicious and I also love the paneer jalfrezi. How about you? There are still so many I need to try, I haven’t tried many of the seafood ones yet. Yes the black dal is on my to-make list. I love his recipe for osso bucco…..
That’s a great collection. I need to thin out my herd of cookbooks, but I can never go through with it! Thanks Nell – just do it I’m sure you have at least a few that wouldn’t be missed for too long! That’s a great collection! I need to thin my herd of cookbooks, but I can never go through with it! Fantastic collection. I love the Jamie Oliver Comfort Food book. I use his pizza dough recipe all the time, subbing a little 00 or semolina for all the bread flour. Uncommon goods is also awesome, I love their products and business philosophy as well. Hi Gretchen, so glad you share my love of Jamie’s Comfort Food – I’ll have to get my husband (the pizza maker in our house) to try his dough recipe. And Uncommon Goods – great to hear you are aware of them, I believe they are little known here in Australia…. Yes do Olga – I love how authentic and traditional the recipes he features are…. Great post! 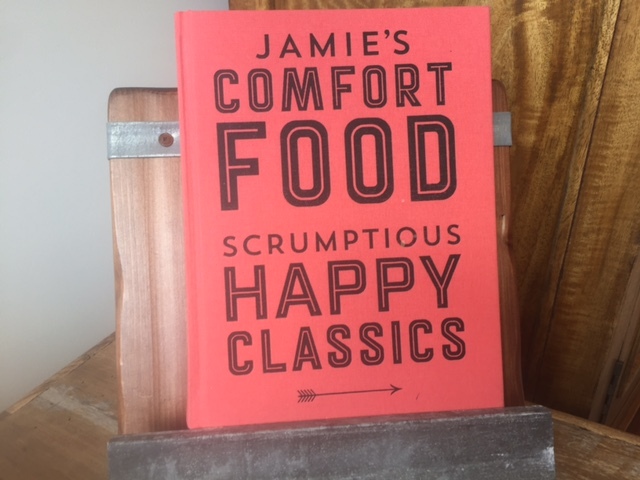 I have just ordered Jamie’s Comfort Food – excited to get stuck into it! 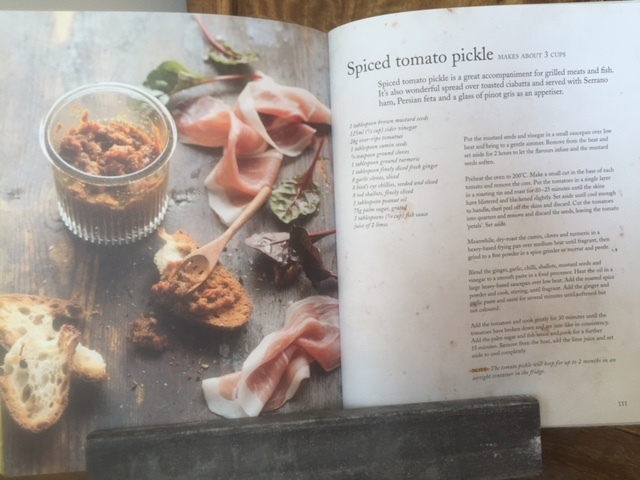 Thanks Hayley – and I am sure you will love Jamie’s comfort food – so many hearty yummy recipes!